Since 2003, Australian born Actor / Producer, Jaz Spelic, has been developing a feature film project titled, "The Trinity of Vukovar." The English language feature film will highlight three unique journeys that took place in the town, during the 87 day siege, of 1991. "The story of Vukovar is ultimately universal. I've never been interested in the politics; my intentions have always been to create a story that explores a journey from light to darkness - the transformation of a town." "The story will follow three journeys, all inspired by true events." "Forget everything you think you know about Vukovar, this is the untold story. It will be difficult for many to experience and for others to accept, but in the end there is only the truth and I have always believed it to be worth fighting for." "Vukovar was the beginning - the first atrocity of the Balkan wars. What the world ignored there, would only open the doorway to the further horrors that took place in <?xml:namespace prefix = st1 ns = "urn:schemas-microsoft-com:office:smarttags" />Bosnia and Kosovo. This film will serve in one sense as a powerful reminder, but it is ultimately a film about the forces of the human spirit." "The Trinity of Vukovar", follows three journeys in one town over 87 days of siege. The battle for Vukovar was quite possibly one of the most intense and brutal to take place, in the last quarter of a century. The Defenders on the Road of Trpinj (Trpinjska Cesta), and their leader, Blago Zadro, defied all the odds. These men were outnumbered, low on ammunition, hungry and tired - but their determination never wavered. Their story creates a fast paced and intense cinematic journey, as they struggle to resist their enemy. Despite the thousands of projectiles that were being launched on the town each day, the Friary and Sisters of the Church of St. Filip Jakob and the nearby Church of Borovo, would not evacuate the town, but remained to serve the thousands of desperate civilians and refugees. The film will closely follow the stories of characters 'ANTON' and 'BRANKO'. Based on the real life Fra Ante Perkovic and Fra Branimir Kosec. Many people know too well the story of Vukovar Hospital. The journey of Dr. Vesna Bosanac, the medical staff and patients will feature in the storyline. "Each of these three journeys will captivate the audience in a different way, but I've always thought that the hospital is the heart of this movie. Dr. Bosanac tried so hard to keep the people within those walls safe&she kept hope alive for everyone - for eighty-seven long, hard, and unimaginable days&only to be stripped of her power at the last minute. She was taken away from those she fought so dearly to protect. What resulted was what most people have come to know as the, 'OVCARA'. Over 200 innocent people were murdered and it's time to show the world this story." In 2001, Jaz Spelic attended Summer School at London's prestigious, Royal Academy of Dramatic Art. In London, he was also given the opportunity to work with the legendary Jack Waltzer, who has been known for many years as the 'on set' acting tutor to stars like Dustin Hoffman and Sigourney Weaver. In 2002, upon returning to Sydney, he would be accepted into 'The Journey' graduate program at Actors Centre Australia, whose past graduates and students include Hugh Jackman, Nicole Kidman, Naomi Watts and Colin Farrell to name but a few. 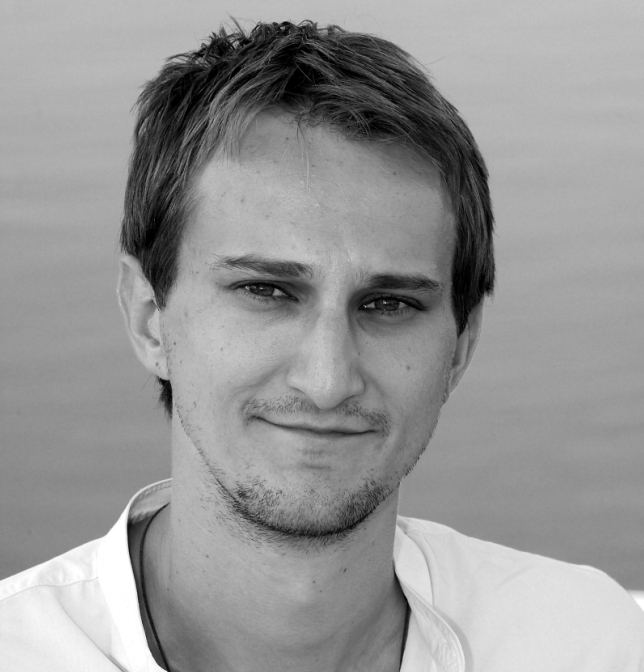 Since graduating in 2004, Jaz has spent most of his time developing The Trinity of Vukovar. He has been employed as a guest Actor at the International Film School in Sydney and has also appeared in numerous tv commercials. Jaz's recent film, "The Warrior", directed by Melbourne based Steve Ravic, was recently screened at the Cannes International Film Festival. Jaz Spelic first journeyed to Vukovar, in 2004 where he met Dr. Bosanac for the first time. He since returned to Vukovar in 2006, where he was living in the Borovo Region (Borovo Naselje), for many months, researching the world of the story. During this visit, he also completed shooting the films "Pilot", which features many of the films real life characters. "I wanted the producers to see the real people&there's something that always works about true stories provided you keep it real and simple. The pilot was a 15 minute journey that highlights each of the three journeys within the film. The response from those who've seen it to date, has been truly amazing." There are already a number of exciting people who are onboard for this project, with many more to follow in the coming months. Renowned international Artist, Dr. Charles Billich, will attend various stages of the shoot to create artworks encapsulating "The Creation of a Film - Based on a True Story." Also working heavily on the project is Australian born multi-instrumentalist John Puškaš, who has composed and recorded original music both in Sydney and Zagreb. "We've already had the chance to collaborate with the amazing musical ensemble TRESNJEVKA, lead by Tihomir Zlatič and Božo Potočnik. This ensemble has such a remarkable talent, but what makes them truly amazing is their group dynamic and energy. We had a few nights out in Zagreb with these guys and our stomach muscles were sore for the three days that followed. A very funny mob!" "This film would quite possibly be the largest international production ever to be filmed in Croatia. There'd be a lot of work for members of the Croatian film industry, not to mention the chance to collaborate with some of the best in the world." "Oscar Nominee to be offered role of Dr. Vesna Bosanac"
Australian Actress and Oscar Nominee, Toni Collette, is set to be offered the role of Dr. Vesna Bosanac, in the upcoming feature film, "The Trinity of Vukovar.'" Collette, 34, received an Oscar Nomination in 1999, for her performance in the international blockbuster, "The Sixth Sense'", where she acted opposite co-star, Bruce Willis. Colette, is just one of many international cast members, being offered roles in what is set to be a multi-million dollar production. Since 1999, she has appeared in a number of successful projects. Her recent film, 'Little Miss Sunshine', won two Oscars at this years Academy Awards and received enormous international praise. Jaz Spelic, is an Actor/Producer based in Sydney . He was born in the capital city of Canberra and both his parents were born in Croatia. He decided he wanted to be an Actor at age 17. When he completed school, he decided to go to London where he enrolled in the Summer School Program, at the Royal Academy of Dramatic Art. This he says, was in many ways the experience that fuelled his determination to be an Actor. Upon returning to Australia, he auditioned for the Actors Centre Australia (in Sydney), and was accepted into the Journey Graduate Program, a 2.5 year Advanced Diploma in Performing Arts - Acting. Since graduating in 2004, most of his time has been spent developing 'The Trinity of Vukovar'. He is also employed as a guest Actor at Sydney's International Film School, has done a few television commercials and his first feature film 'The Warrior' was selected by the Australian Film Commission and screened at the Cannes Film Festival this year. It was directed by Melbourne based Croat, Steve Ravic. The research effort for this movie has so far taken Spelic to several countries and lasted almost 4 years. He always jokes with people that: "In Vukovar, every house has its own story and own feature film." He goes on to say, "It is incomprehensible when discovering the details on what those people experienced." "The core and spirit of Vukovar and its story, lies purely in the town, its people and their journey of transformation." 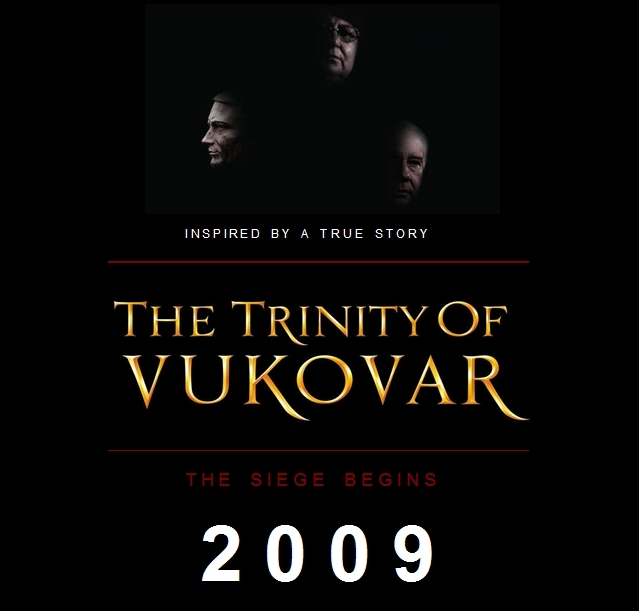 'The Trinity of Vukovar' is an amazing story with incredible charactors based on very real people and events. It's wonderful to see such an ambitious project developed by this talented actor/producer. I am very excited about this project, and can't wait for the release of the film. I am an American Albanian. Although my family was not directly affected, I am still horrified at what happened out there. I can't wait to see this movie. I hope it will be available in America too. The world should know the atrocities that happened in the Balkans. I hope people like you keep telling these stories. Jaz keep doing what you do! I'm sure you will inspire many more. Go Spelic! I am sure this movie will be groundbreaking for Croatian war as Saving Private Ryan was for WW2.